Osho is one of the best-known and most provocative spiritual teachers of the twentieth century. More than a decade after his death in 1990, the influence of his teachings continues to expand, reaching people of all ages in virtually every country of the world. Born in India in 1931, Osho first became known as a rebellious philosophy professor in the 1960s and traveled extensively throughout India, giving talks, debating with traditional religious leaders, and introducing his revolutionary active meditation technique, Dynamic Meditation. 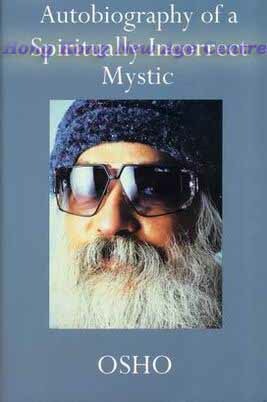 In 1974 he established a center for meditation and self-discovery in Pune, India. His work there, he said, was an experiment to create the conditions for the birth of a "new man" -- one who is free of all outdated ideologies and doctrines of the past and whose vision encompasses both the spiritual wisdom of the East and the scientific understandings of the West. Osho is now globally recognized as one of the twentieth century's most important spiritual guides, although his uncompromising approach and "in your face" style were often misunderstood during his lifetime. "He loved controversy," says Aroon Purie, editor of India Today: "He used to make all kinds of outrageous statements that would get everybody worked up. People used to get upset about the messenger and forget the message. Today the messenger isn't there and people are listening to the message, which is something very intelligent and useful."